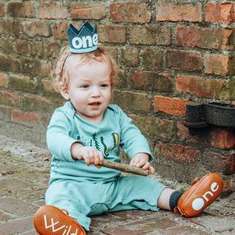 Selected as Party of the Day on August 28th! Second star to the right and straight on till morning! 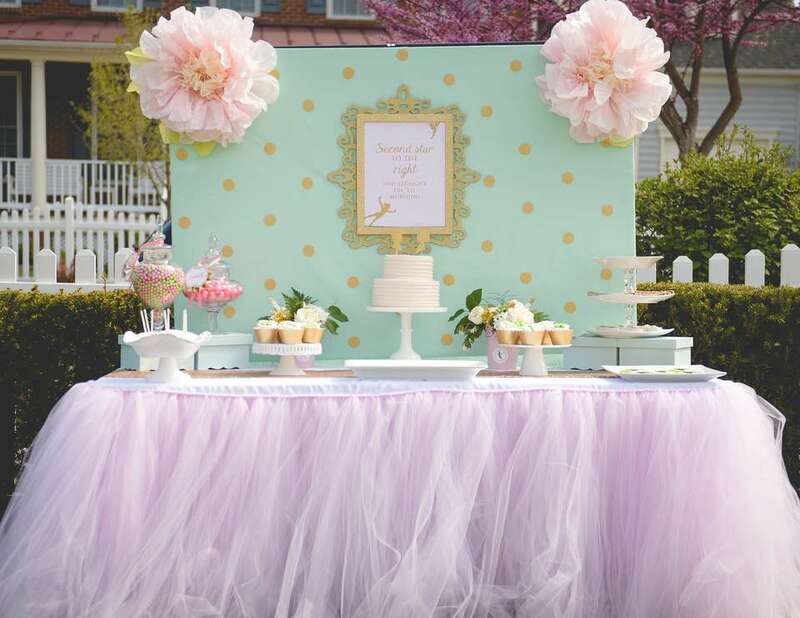 Planning this pretty pink, mint and gold Neverland party had us wishing we would never grow up! Our dessert table, clad in a gorgeous pink tulle skirt, gold dipped feathers, sequin runner, mint backdrop and fresh florals set the scene for our guests. Our petite pixies and Peter Pan fans enjoyed a variety of magically themed sweets including a pale pink buttercream cake with miniature star pixie dust and custom gold glittered Peter and Wendy toppers, glittering Tinkerbell themed cupcakes, pixie wing cookies, Peter Pan silhouette cookies, Tinkerbelle chocolate covered Oreos, pink and gold chocolate covered pretzels and a variety of shimmering SweetWorks candy! 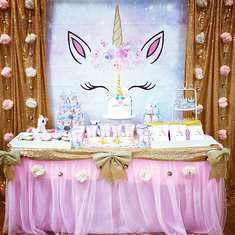 For even more Neverland inspired sweet treats, guests headed to our candy buffet which included a white ruffle table skirt, gold sequin runner and stunning ribbon backdrop. 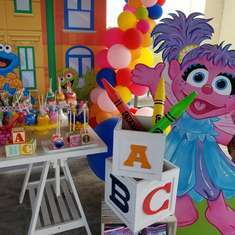 The candy buffet was brimming with cotton candy pops, jarred cupcakes, pink and gold Oreo pops, floral cupcakes and a variety of shimmering candies and chocolates. 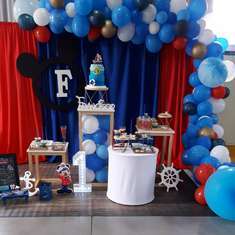 Our tiny diners enjoyed their confections at our Neverland inspired kids table, compete with floral green and gold plates, personalized mason jars, Tinkerbell floral arrangements, custom Neverland wooden utensils, shimmering gold hook centerpieces, not to mention pixie wings and Peter Pan hats! Our lost boys and fairies headed to our real life tassel and scallop garland decorated tee pee for more Neverland fun. Kids enjoyed perfectly pink tutus on custom made gold sequin hangers and a treasure chest full if pixie dust, pirate treasure and adorable message in a bottle fun! The Neverland sign was a huge hit among the kids and adults alike! After enjoying teepee and treasure fun, guests enjoyed a fun game of hook ring toss. This Neverland party surely had us ready to take flight and never grow up! Especially for you by Y.W. Thank you, for your post the cutout fairies in birdcages. We made similar ones for Venture Highs very first prom. They turned out lovely. Thanks again for the great idea. super nice! where were the white cages found?